It is easy when you know how to grow your own vegetables or plant flowers or prepare your fruit for a bumper harvest, our collection of handy growing guides will make life simpler and give you a wealth of handy hints and detailing planting instructions. This helpful chart will provide you with a quick reference for knowing the optimum time to sow and then harvest your flowers, fruit and vegetables. Want to place an order by post? Download the A4 order form, print it out, complete it at your own leisure and send it back to us. For planting directly into the garden, ensure that the soil has been dug over and lumps broken down, then plant straight into their flowering position. In areas where the existing soil is poor, incorporate a good handful of compost into each area you are planting. Once planted don't forget to give your plants a drink and protect them from any slugs and snails that may appear.To achieve that stunning display, please make sure that you regularly check your plants to ensure that they have adequate water, and feed regularly. Watering below the foliage canopy of the plants will reduce marking and damage to the flowers. Removing the dead and damaged flower heads will not only Improve the appearance of the plants, but will also prevent the plant putting energy into seed production and ensure that more plants are produced.We hope that the plants will give you much pleasure and be a delightful addition to your garden. A general guide for Autumn planting plants and bulbs featuring the different plug plant sizes available. What kind of soil type do I have? Our easy to understand guide will help you quickly establish which types of soils you have in your garden/allotment. 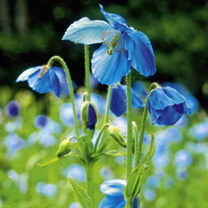 Here you'll find a list of Suttons plants we recommend to brighten up your shady gardens. If you're fortunate enough to own a property with full/partial sea views, the likelyhood it that you have an exposed coastal garden. 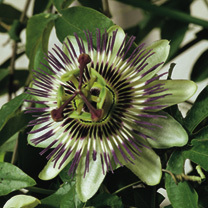 This list we put together lists more of the commonly grown plants for these specific areas. You might be surprised to know but you really don't need a big garden to start growing your own vegetables; any space will do as long as it's a sunny open spot. If you have a garden or allotment, be it big or small, you can make a dedicated vegetable patch. At-a-glance guide to sowing and harvesting times for most popular vegetables.This chart covers 18 months so it shows the harvest period for the following year. Firstly decide on the vegetables you enjoy, giving consideration to the amount of space available. Aim to produce vegetables all the year round without shortages or gluts.. Your young plants have been grown under ideal conditions and they will develop best if these directions are followed closely. On Arrival - remove the plants from the box as soon as they arrive and check that the compost block is adequately moist, watering if necessary with tepid water.. Important: Unpack straight away and, if planting cannot follow immediately, place the crowns in a box or seed tray, surround the roots with moist peat. Keep somewhere cool and light. Purchased one of our Suttons Patio Veg Kits? A no nonsense, easy to follow guide to planting and growing Brassicass is available. If you've purchased one of our amazing veg collections, then you can utilise our garden planner to design, lay out and grow your plants in the most efficient way. A simple but effective guide to planting soft fruit including blackcurrants, redcurrants, whitecurrants and gooseberries giving you everything you need to successfully grow on and enjoy a bountiful harvest. There is nothing like picking your own grapes fresh from the vine, combined with making wine and other fruity beverages. Our growing guide provides everything you need to grow your vines successfully. 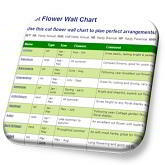 Use this cut flower wall chart to plan perfect arrangements! Understanding the natural conditions of your Streptocarpus plants will assist you in providing the best conditions for them to thrive in. Remember, in the wild they will thrive on partially wooded mountainsides so they do not require full sunshine, but a light position, without too much sun as this will.. Your Stevia plant will thrive on both the windowsill and outside if grown in pots. When you receive your plants remove the plants from the packaging immediately, check the compost is moist and water if necessary with tepid water. 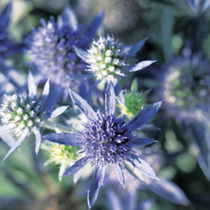 Leave them on a shaded windowsill or in shade in the greenhouse for a few hours and then plant as soon as possible. Pot the plants up initially into a 9/10cm pot using a standard potting compost, then water in lightly. Stevia is quick and easy to grow.Keep the compost moist but be careful not to over water. Transfer the plants to larger individual pots of approximately 12/13cm (5") once the roots have filled the bottom of the pot and allow the plants to continue to grow When the plants are approximately 10cm (4") high, pinch out the growing tips to encourage bushy growth. Remember to feed weekly 2–3 weeks after potting.